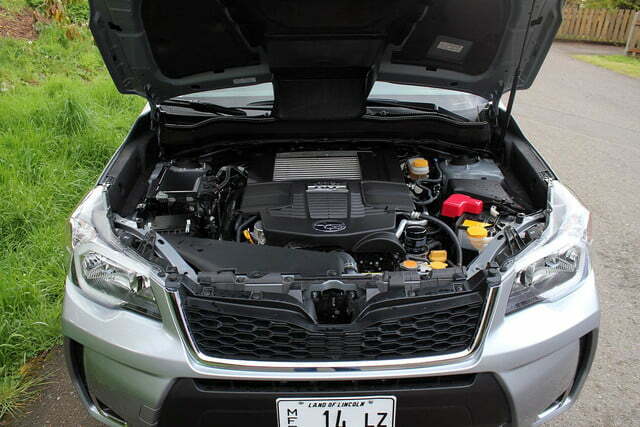 The 2015 Forester XT manages to add turbocharged fun, great tech, and styling menace without losing the practical street cred that got it here. 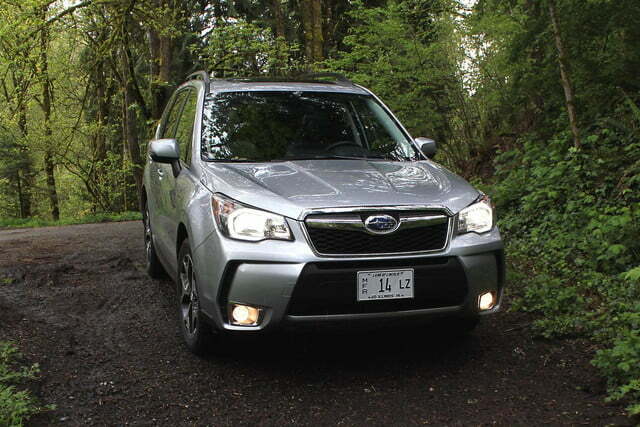 Several days into my week with the Forester, I was still struggling with what I was going to say about it. That is when fate intervened. I had just finished dinner and was sitting down to contemplate my stance on the Subaru when the phone rang. When I answered, my ear was bombarded with the wails of my friend’s seizing cat. I leapt into action. After all, this was not just a chance to be a good friend, but also to put the Forester through the sort of challenge that your average Subaru driver might face: a cat rescue. and 258 pound-feet of torque … and that intoxicating turbo whoosh. 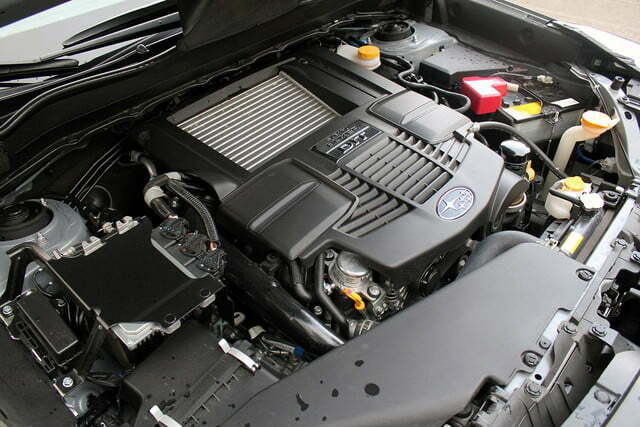 Up to this point I had been puzzled why someone would buy the sporty, turbocharged Forester XT over its naturally aspirated brother, the Forester 2.5i. Suddenly, though, I got it. 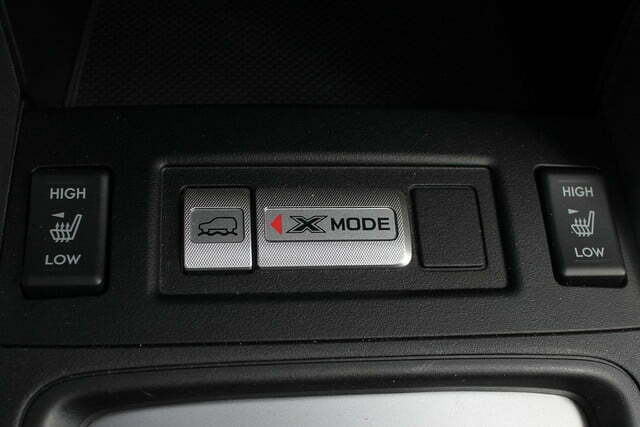 Given the stress and urgency of the situation, I popped the Forester XT into “ST” mode, which tightens the suspension and fights transmission lag. 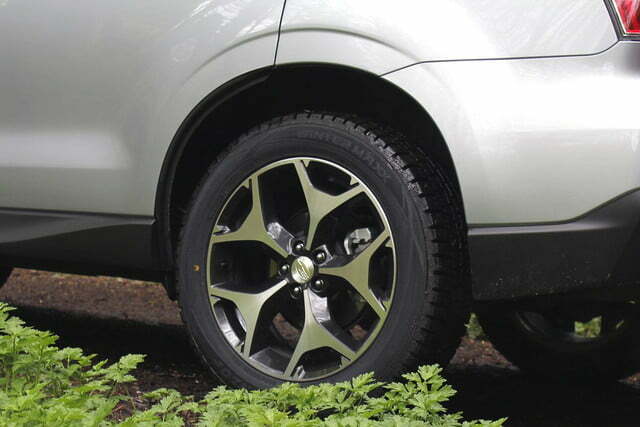 As long as you respect the fact that you are in a small – if tall – SUV, the Forester XT is a blast to drive. 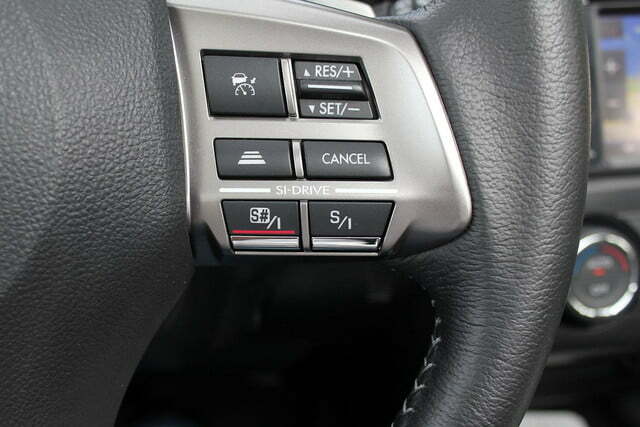 While the transmission is less laggy in ST, it also means that you really need to do all the shifting yourself via the steering wheel-mounted paddles. If you don’t, the transmission will keep the engine above 4500 rpm, which is a bit extreme … even for an emergency vet trip. After pulling up in front of my friend’s apartment, another reason to buy the Forester became apparent: It can fit a white-knuckled driver, two distraught pet owners, and a cat carrier with ease. What’s more, the ride and handling is good enough that you can drive briskly on rain slick roads without A.) Killing anyone or B.) Eliciting complaints from passengers … or vomit from a sick cat. The steering is precise and there is a lot of traction. Just don’t act like you are in a WRX; it will get jerky if handled roughly. And remember kids: cat carriers don’t come with airbags. 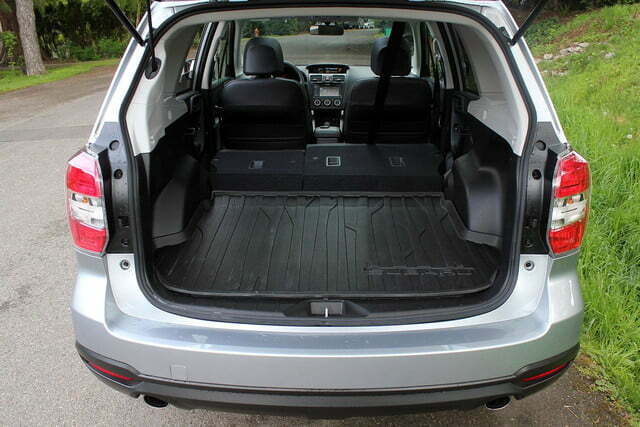 In fact, as long as you respect the fact that you are in a small – if tall – SUV, the Forester XT is a blast to drive. While cooling my heels in the pet hospital’s waiting room, I glanced out into parking lot filled – appropriately enough – with Subarus and Volvos. 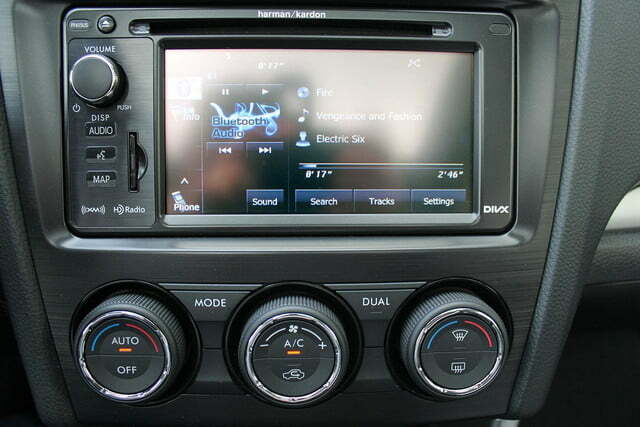 As my heart pumped the residual adrenaline through my veins, I pondered the XT’s other virtues. 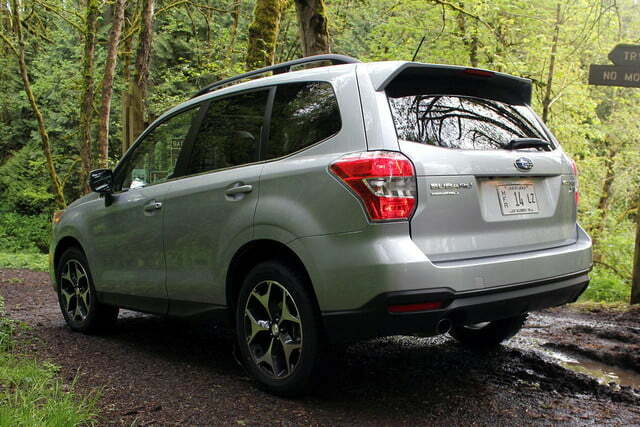 The Forester XT also has the looks to match the sporty driving dynamics. 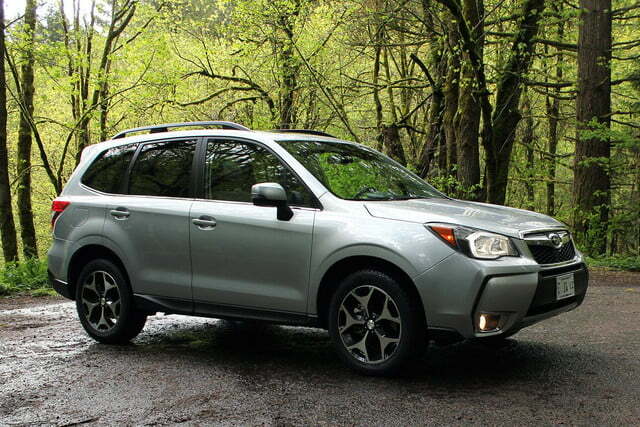 For 2015, Subaru added a bit of menace to the look of the family-friendly SUV. The front end has some decidedly rally-car touches; the grille is one of the most aggressive I have seen on a Subaru and the chin scoops look like they belong on the STI. Before the wild ride, I thought that these touches were an unnecessary pretension. 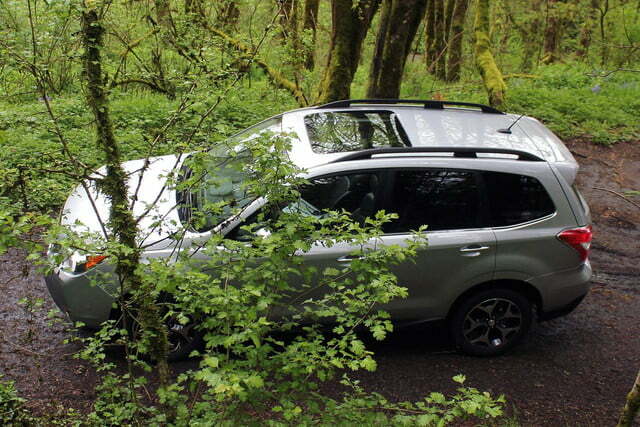 Afterwards, though, I realized that the Forester earned its sporty bits. My favorite touch, though, is the wheels, which not just complement the look of the car, but are awesome in and of themselves. Whenever I walked out to the car, I always got a kick out of seeing those wheels. 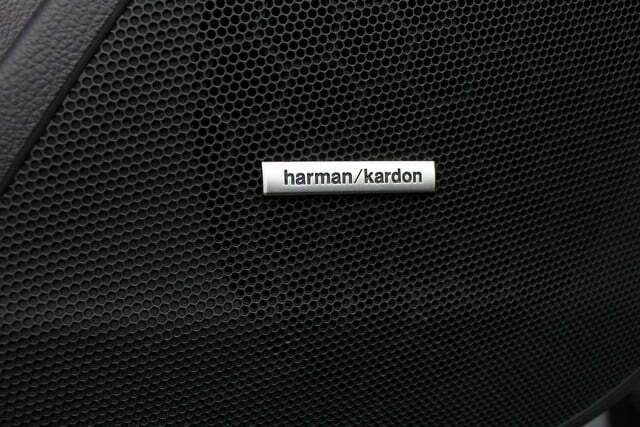 Sadly, basically all of these distinguishing details are only available on the high-end Forester XT. 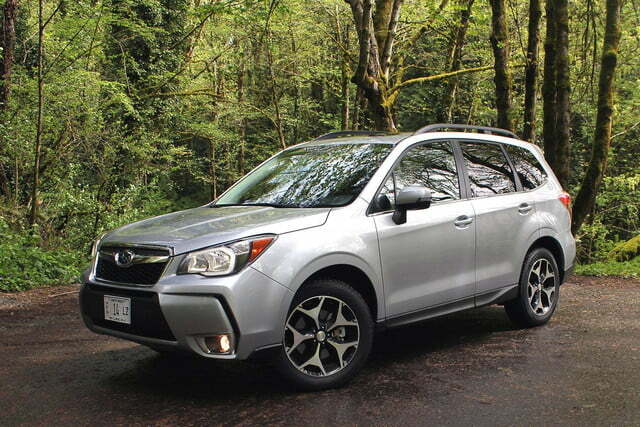 My only real complaint about the more basic Forester’s styling is the somewhat high profile, which makes the it seem a bit narrow and top heavy. 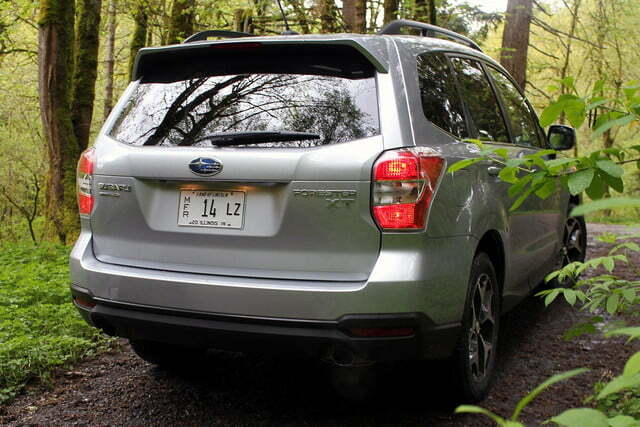 But even that makes the Subaru stand out among its more squat competitors. 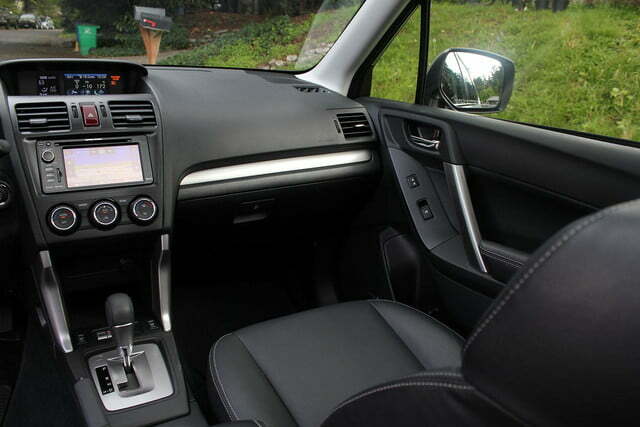 As for the interior, it’s something of a mixed bag. 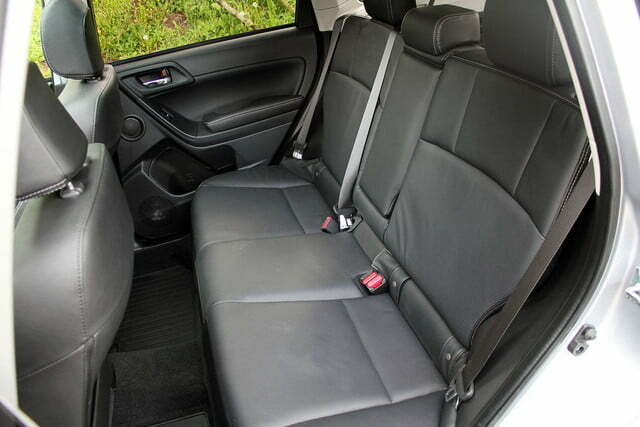 The leather seats and trim on the XT look great. I would be happy to have them in a car that costs nearly twice as much. That said, some of the trim feels a bit cheap and runs at odd angles, which makes it seem like it doesn’t quite fit. 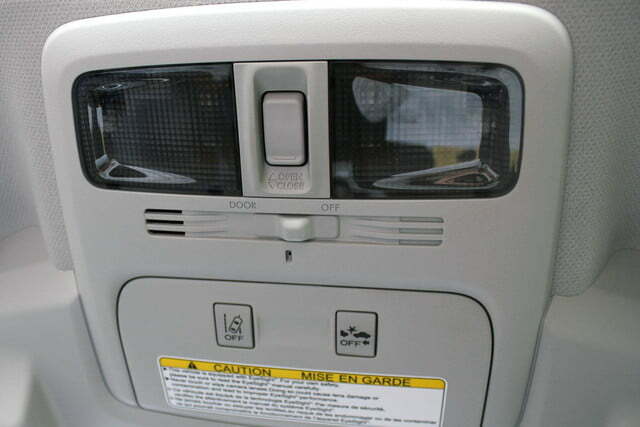 For instance, the tops of the door panels run contrary to the angle of the window, which just seems weird. The Forester XT offers plenty of tech toys – I especially like the active cruise control. Even so, the basic design is excellent. 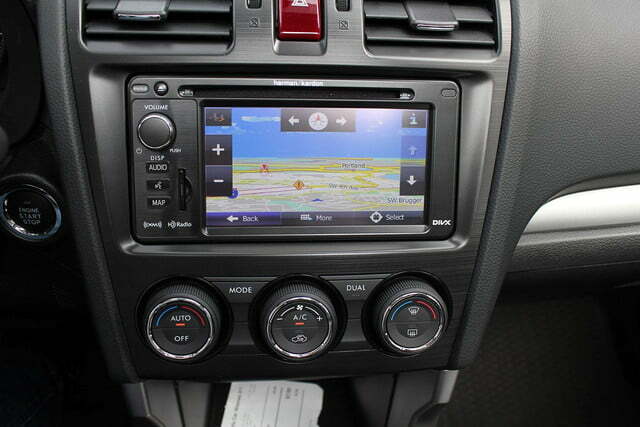 Take the dual, dash-mounted LCD screens for example, which I like very much. 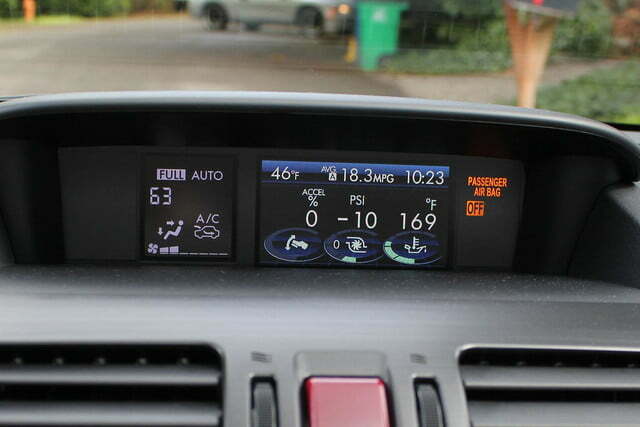 The lower screen displays the infotainment, while the smaller one just above it displays vehicle data. Visibility from the Forester XT is excellent, too, making parking and tight maneuvering easy. 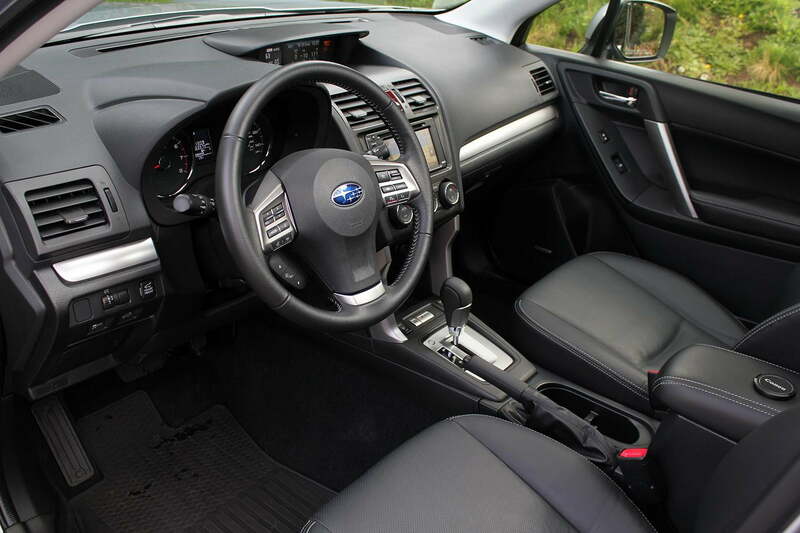 Throw in the massive moonroof and the high driving position, and the Subaru Forester is just a nice place to be. 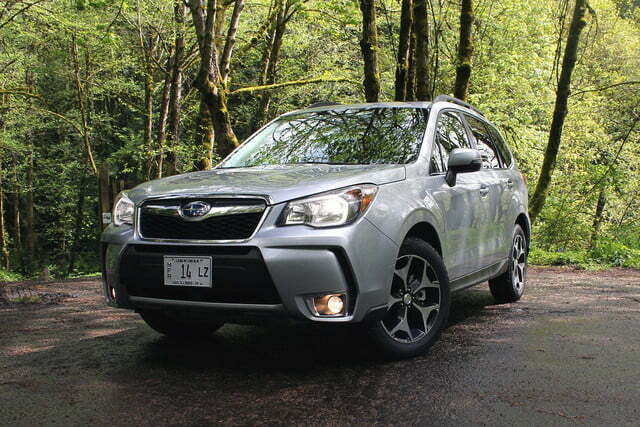 People buy cars like the Forester not so much to drive them, but to use them, and Subaru has carried that part of the equation off well. 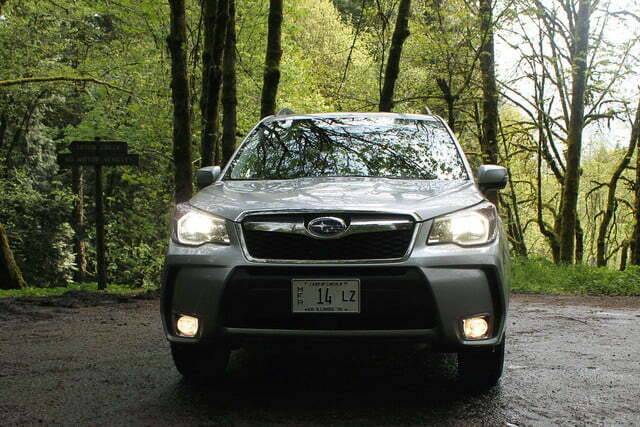 The Forester does a lot of things well. 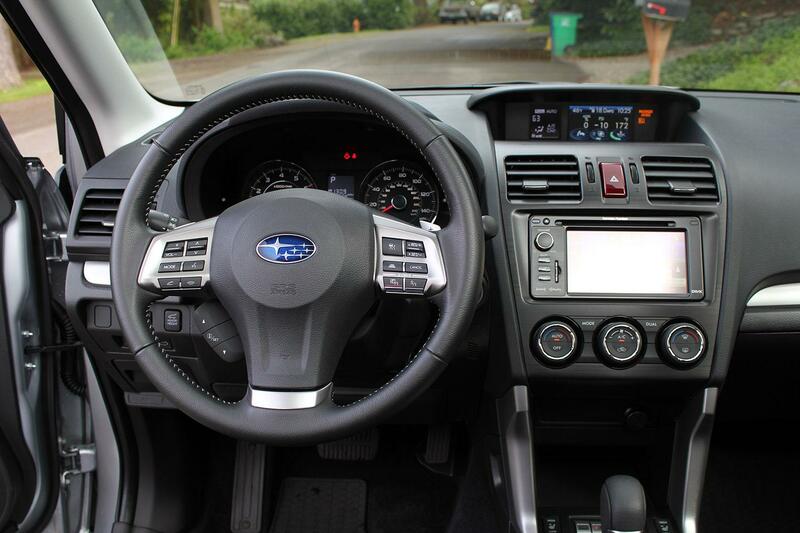 The Forester XT offers plenty of tech toys – I especially like the active cruise control. 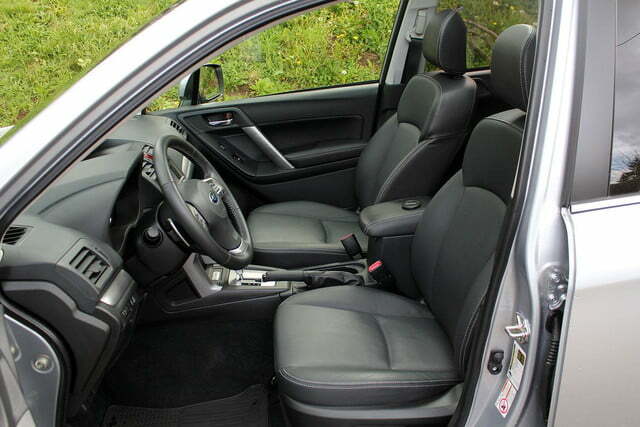 And, despite being reasonably sized, there is plenty of room for four adult humans; something that plenty of small SUVs can’t actually boast. 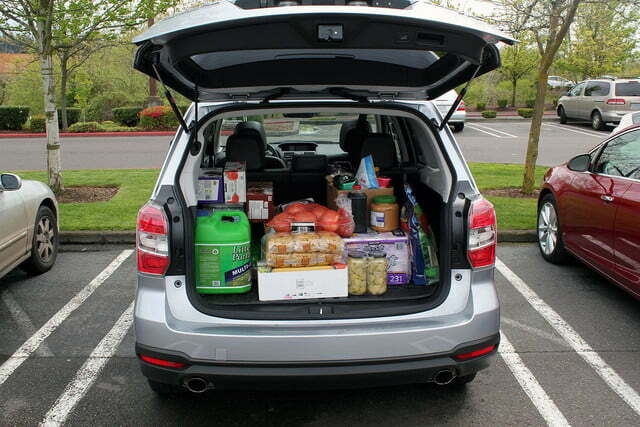 Even with the seats up, you can get $300-plus worth of Costco groceries in the back. 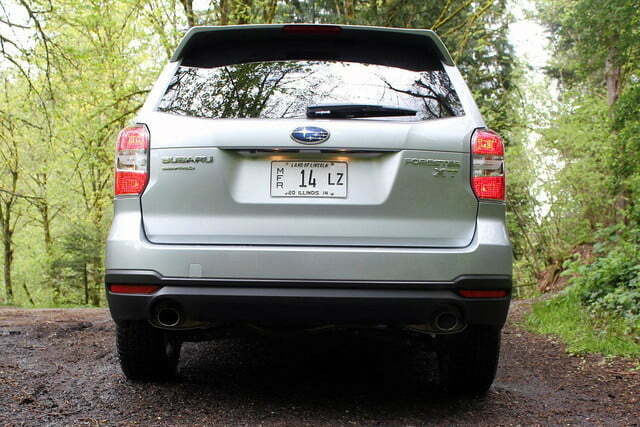 Throw in fact that that the Forester XT comes standard with Subaru’s symmetrical all-wheel drive, and you have an awfully practical set up. 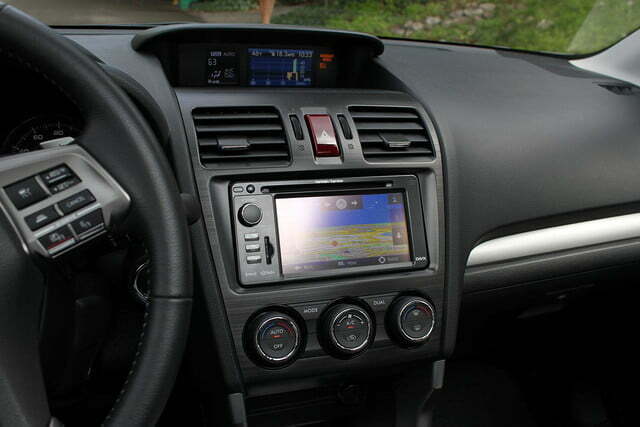 As Digital Trends has written of other Subarus, the infotainment system isn’t great. 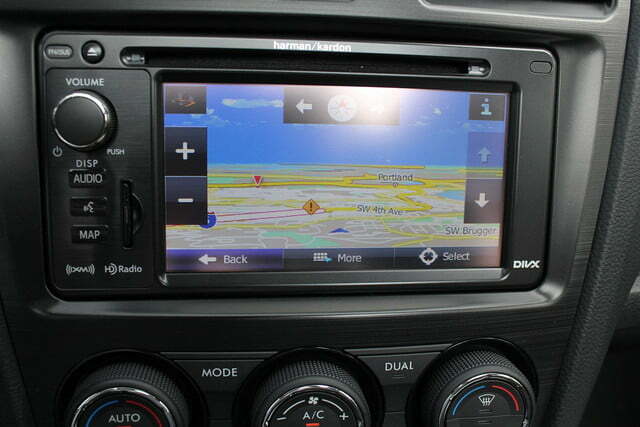 The screen resolution is poor and the interface is clunky and slow. On the upside, it isn’t willfully complex like a lot of systems, so at least you never feel lost using it. 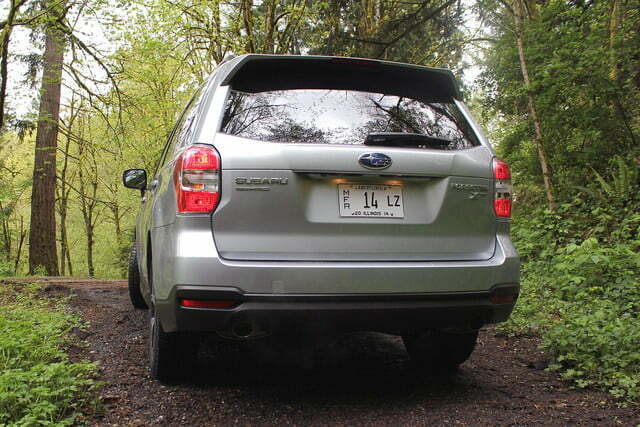 The Forester XT is rated to a combined 25 mpg – 23 city and 28 highway. I managed just 18 mph in my time with it. 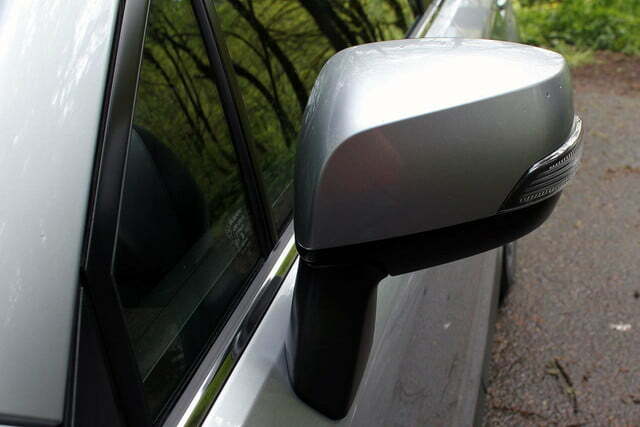 I have no doubt that the car could do better on different roads and with more economically minded driving – e.g. fewer emergency trips to the vet. I feel it is worth noting that it won’t get 25 everywhere. If you’re wondering, Baxter the cat made it. 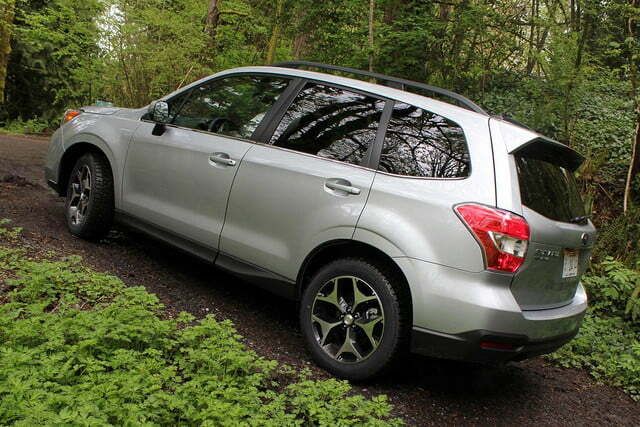 As for the Forester XT, even if you don’t need pet ambulance-like turbo power, the Forester has a lot to offer. The non-turbocharged, Forester 2.5i model may not have the same luxuries as the XT, but it is a lot cheaper … $6,000 cheaper. 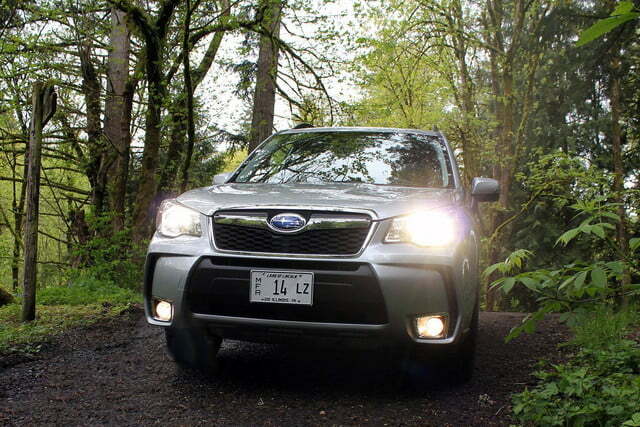 Still, though, it has all of the basic things that make the Forester worthwhile. 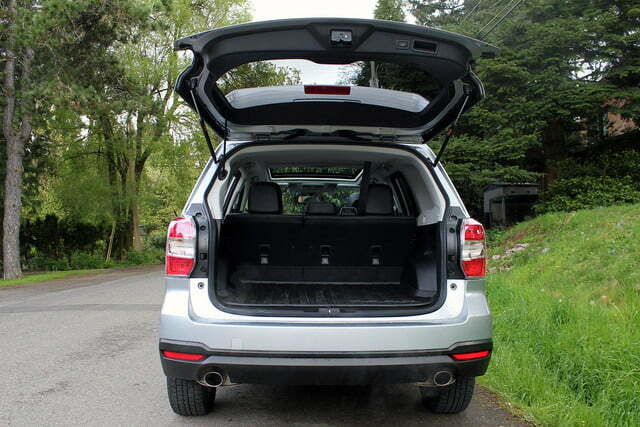 If you do anticipate the need to get places quickly, then the XT model may well be worth the extra money for you. It is refreshingly pleasant to drive, which is a nice quality in this vehicle segment. And, despite the STI-ish touches, it still qualifies as something of a sleeper.